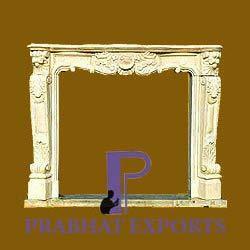 With thorough industrial knowledge, we manufacture and export a wide array of Stone Fireplaces. These are also used for the relaxing ambiance they create. Additionally, these are available in different sizes at vary reasonable prices in market. 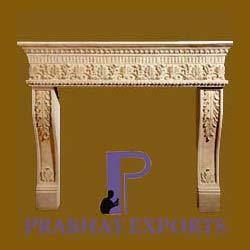 As a reputed organization we are engaged in offering an extensive range of Antique Fireplace. These impart an elegant look to the decor and enriching class and style of any living room. Offered product is well known in market due to their accurate dimensions and durable nature. Moreover, these are available in various sizes as per the clients requirements. 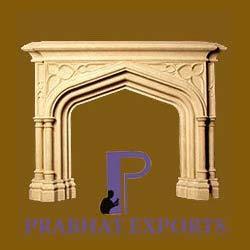 In order to keep pace with the requirements of the clients, we manufacture and export a quality tested array of Stone Fireplaces. They are finely polished and artistically colored by our professionals to radiate soothing ambiance. Offered products are carved using fine quality material to render maximum client satisfaction. Additionally, these can be availed at industry leading prices. Being a client-based firm, we manufacture and export a wide array of Burning Fireplaces. These products are widely demanded by the clients for their availability in various sizes and eye catching designs. Offered products are manufactured using best quality marble which we sourced from the trusted vendors of the market. Additionally, we offer our products at affordable prices. From the past couple of years, we are into manufacturing, supplying and exporting a huge gamut of Marble Fireplaces. 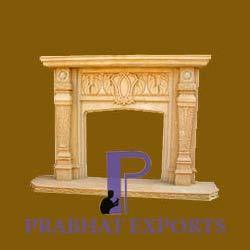 Classy look, excellent strength, fine finishing, longevity and spaciousness are some of the major attributes of these fireplaces, which make them extensively applauded and demanded all over the nation and worldwide.